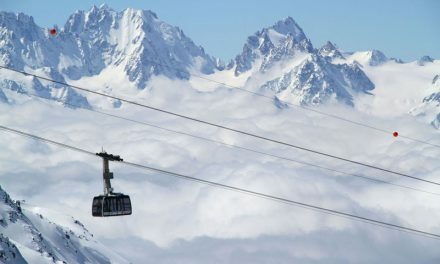 The biggest weekend of the summer is almost here, and I know what you’re thinking: I’d like to celebrate the Fourth of July in my favorite ski town, but I’m not sure what’s going on there. Can you help, Ski Diva? Celebrate freedom and the holiday weekend with the best party of the summer. Okemo’s Jackson Gore Courtyard will be transformed into an all-American backyard barbecue with live music, games, a hot-dog-eating contest, frosty-cold beverages and fresh-from-the-grill burgers, hot dogs plus lots more. New activities this year include an inflatable water slide, a 65-foot inflatable challenge course and a combo bouncy house/slide. The Killington Fire Department hosts the 4th of July party and fundraiser, featuring a parade, BBQ, pool party, fireworks and more at the River Road recreation fields. Start with a book sale at 9:00 AM followed by the parade at 10:00 AM. Enjoy the Fireman’s Barbeque cooked by the Fire Department and other volunteers. There’ll be games and entertainment during the afternoon, and a fireworks show starting at 9:30 PM. Enjoy a multi-dimensional day-long extravaganza of food, music, entertainers, fireworks and more! Starting with the Moscow parade and ending with Stowe’s incredible annual fireworks display, this is a great day to spend in Stowe. The ever popular I Love BBQ and Music Festival will run this year from July 2 – 5. Come out and watch some of the best BBQ competitors in the country, taste their creations and listen to some awesome live music at this popular annual event. On July 4th there’ll be a parade and the blockbuster “Set the Night to Music” fireworks extravaganza! A true summer celebration featuring exceptional entertainment including Vail’s celebrated 4th of July parade and fireworks. The parade will begin at Golden Peak at 10:00 a.m. on July 4 and will wind its way through the villages, ending in Lionshead. This year’s parade theme is Celebrate the USA! Great Moments in American History. Approximately 20,000 local residents and visitors come together to honor the nation’s birthday in true American style. Festivities include a parade, US. Airforce jet flyby, concerts, a kid’s bicycle rodeo, and spectacular fireworks over Aspen Mountain. Celebrate Independence Day with lively entertainment, free activities and dynamic family fun. Breck’s Independence Day celebration kicks off with a 10K trail run and continues throughout the day with the Firecracker 50 bike race leading the vibrant Fourth of July Parade on historic Main Street, July Arts Festival, live music, kids’ activities, concerts and so much more. End the night with the National Repertory Orchestra performing a patriotic concert at the Riverwalk Center followed by fireworks at 9:45pm. Come celebrate the Fourth of July at the annual Jumpin’ & Jammin’ Competition and Community Party following the downtown Fourth of July parade on Saturday; head to Howelsen Hill to watch members of the US Nordic Combined and Ski Jumping National Teams as well as Gelunde jumpers on alpine skis soar off the HS75 meter jump! The July 4th fireworks extravaganza is one of the most popular Independence Day celebrations in the West with 100,000 plus onlookers. The fireworks are launched from offshore barges and can be seen from all corners of town. South Shore offers convenient access to viewing areas via public transportation, paved bike trails, and nearby park and walk venues. The festivities begin with a parade at 10AM, and continue with a bike race, a kids’ carnival on the Main Street, a rodeo, and of course, fireworks at dusk. More than 70 floats make their way down historic Main Street for Park City’s famous 4th of July parade. Afternoon festivities include a beer garden, a free concert and plenty of tasty food vendors to get your fill. 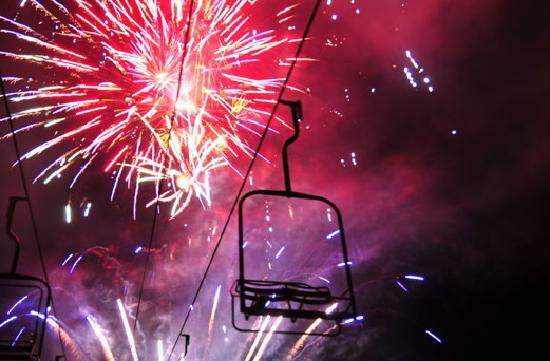 When dusk ascends on Park City, the sky is set ablaze with colorful fireworks. Here you’ll find lots of community booths, children’s activities, lots of food, beverages, and live music capped by a firework finale. The day-long celebration includes a pancake breakfast, a 10K run, a parade, music, and fireworks. NextHow much risk can you handle: On sharks and skiing. 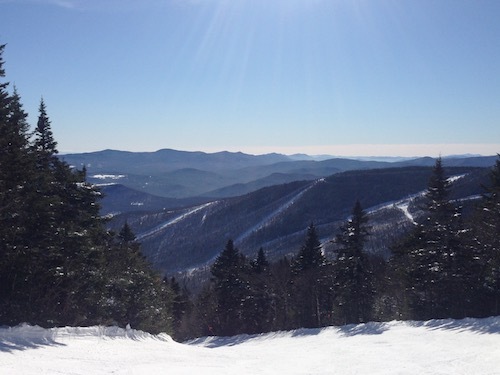 Four days, three ski areas. Thanks for putting together this guide, it was shared with us and we found it very helpful!